Got a painting project on your spring to-do list? Now is the time to score the year’s best deal on paint! 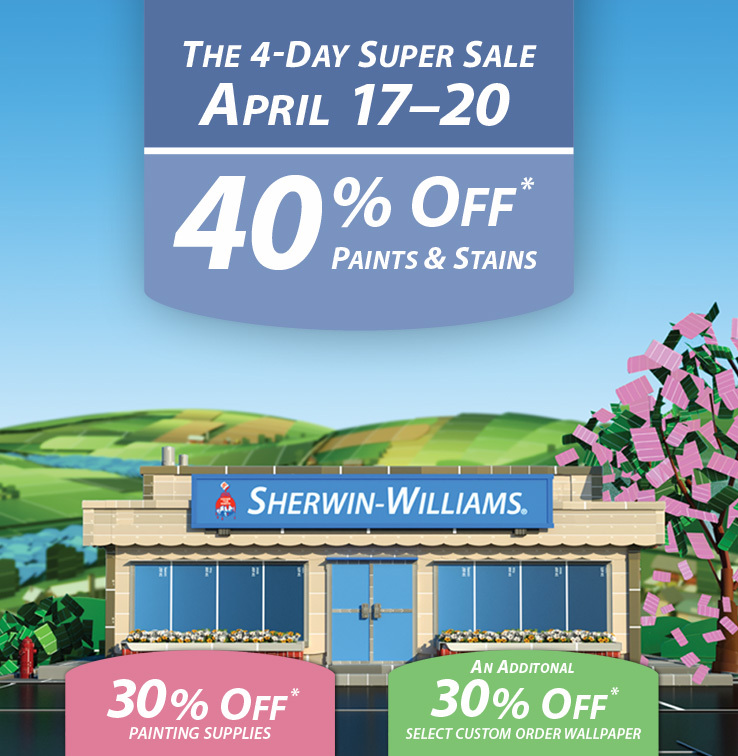 From now through April 20, 2015, you can save 40% on Sherwin Williams paint – their best discount of the year. It is only offered a couple of times each year, so take advantage! No coupon needed, but you’ll find more details here. What will you be painting this spring? Tell us what color you chose!